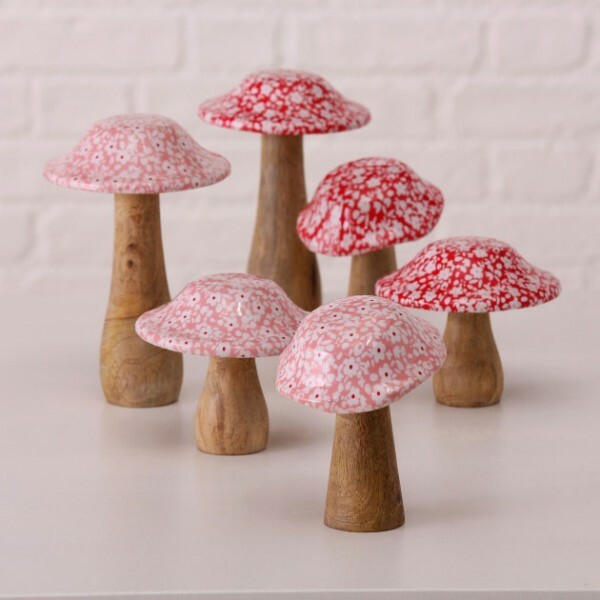 Product information "Mango Wood Deco Mushroom"
How cute are our Mango Wood Deco Mushrooms? They ate available in three sizes and with either a red or pink glazed top that is scattered with tiny white flowers. Group them together on a tray with candles and a candle and instantly enjoy a pretty spring display. Related links to "Mango Wood Deco Mushroom"
Customer feedback for "Mango Wood Deco Mushroom"